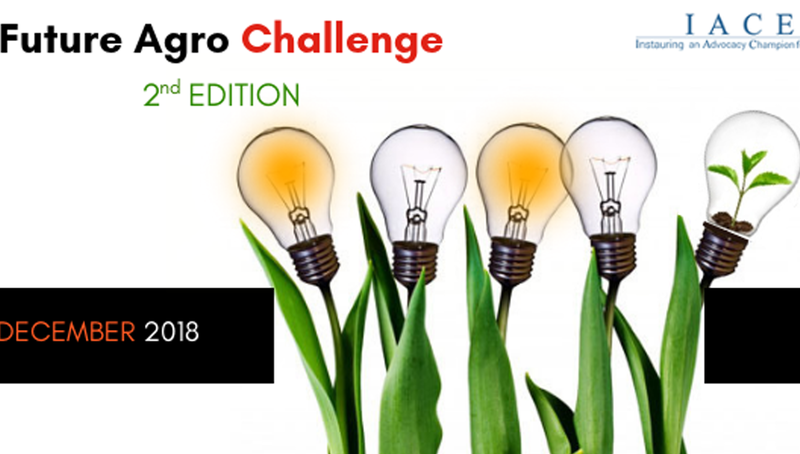 As part of its efforts to encourage the “Agripreneurial” talent in Tunisia, IACE is organizing the Future Agro Challenge for the Second consecutive year. Each team must valorize its project. The evaluation of business concepts will be done by a jury of experts from Agro industry. There’s an “Agricultural Revolution” underway. And our passion is pushing the envelope until innovative and Fundable Food, Agtech, and Agriculture Innovations have spread around the globe, from farm to fork and beyond. The Future Agro Challenge is the leading global competition, bringing together the best of the best to make it all happen. FAC culminates every year with the Global Agripreneurs Summit, where the most promising ideas and ventures on an international level are selected to compete for the title of the ”Agripreneur of the Year”. Selected Agripreneurs will gain access to world class mentors, investors, potential clients, and new market opportunities at the FAC Global Championships, a highlight event at the Global Agripreneurs Summit 2019. Does your new venture ? Have an innovative or scalable business idea or model in the Food, Agtech and Agriculture Sector. Are you or a teammate? You have a promising project? Fasten your seatbelt and join the adventure. You have just to fill-in the Application Form. Submit your application for Future Agro Competition in Tunisia before December 16, 2018 at Midnight Sharp ! The winning startup will be invited to participate in the Global Final Competition.